We'll need a wavelet like the one we made last time. We could import it, if we've made one, but SciPy also has one so we can save ourselves the trouble. Remember to put %pylab inline at the top if using IPython notebook. Let's insert some numbers into our wedge function and make a particular geometry. 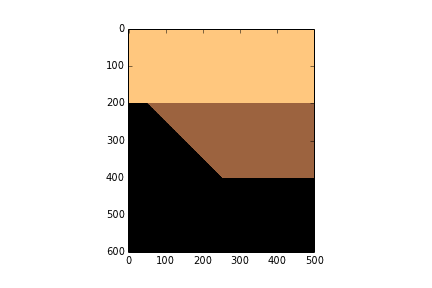 Now we can give each layer in the wedge properties. Then assign values assign them accordingly to every sample in the rock model. Now we make the wavelet interact with the model using convolution. 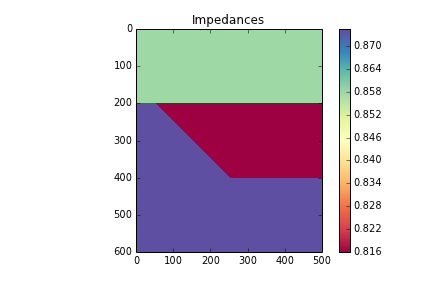 The convolution function already exists in the SciPy signal library, so we can just import it. Finally, we plot the results. That's it. As you can see, the marriage of building mathematical functions and plotting them can be a really powerful tool you can apply to almost any physical problem you happen to find yourself working on. You can access the full version in the nbviewer. It has a few more figures than what is shown in this post.